VietNamNet Bridge – Around 12,000 people die from tuberculosis each year in Vietnam - that’s one and half times higher than those killed in traffic accidents over the same period. According to Nguyen Viet Nhung, Director of the National Lung Hospital, Vietnam is in the world’s top 30 countries with high TB rates. The country ranks 16th in the number of TB patients and 13th in the rankings of drug-resistant TB patients. Seventy per cent are of working age (between 15 and 55). In the past 10 years, based on a national survey and auxiliary studies carried out in 2017, TB in Vietnam has decreased by 31 per cent, reducing by an average of 3.8 per cent per year. 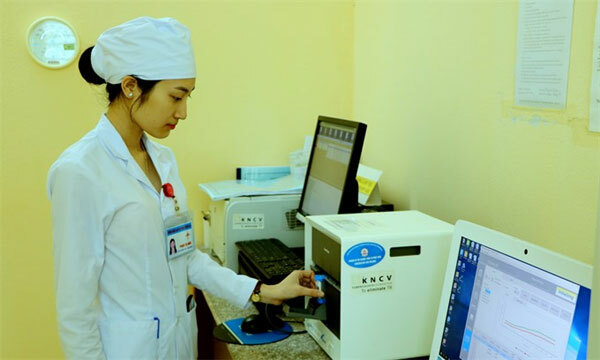 "It’s an indication that Vietnam is on the right track, which would also help the country continue to be a model for other nations with high TB problems," Nhung said. Vietnam has set a goal of ending TB by 2030, that is, with a population of 100 million, the whole country should only have 1,000 people suffering from TB a year. Nhung said the biggest challenge for the National TB Programme would be to sustain all of the current conditions and achievements it has made and the participation and response of the whole community in actively seeking TB examinations and treatment. Overcoming all barriers from the community such as discrimination would also be another important factor for TB patients.